Our Fusion models were designed to give you the benefit of both our supportive gel memory material and the plush feel of our premium soft latex material. 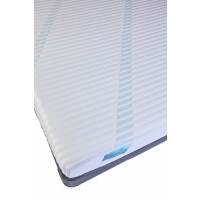 By combining the comfort and durability of pure latex and the pressure relieving properties of gel swirl memory foam, our new line of SensuRest Fusion mattresses offer a unique feel and many health benefits. We have combined the best of both worlds to deliver two new mattresses: The Concerto and the Overture. 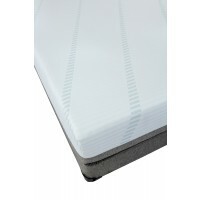 The components of the Concerto mattress combine for a soft and plush feel, while the Overture has a firm and supportive feel.